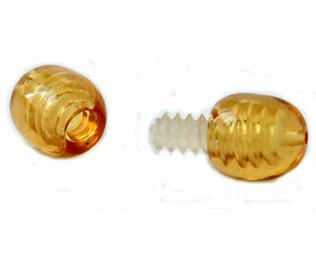 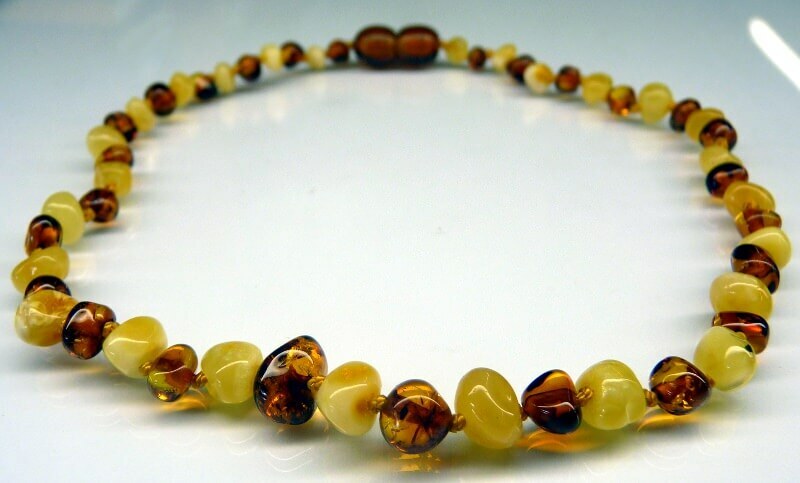 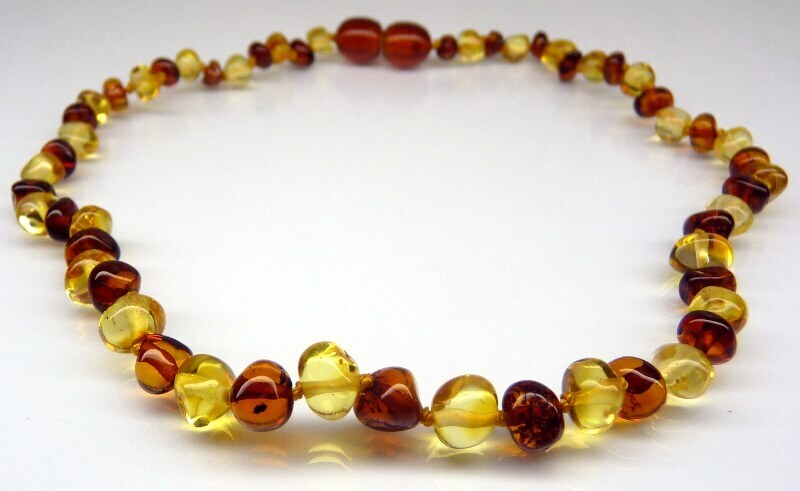 Amber Necklaces For Adults are a natural alternative for pain relief, arthritis, eczema to kidney function disorders. 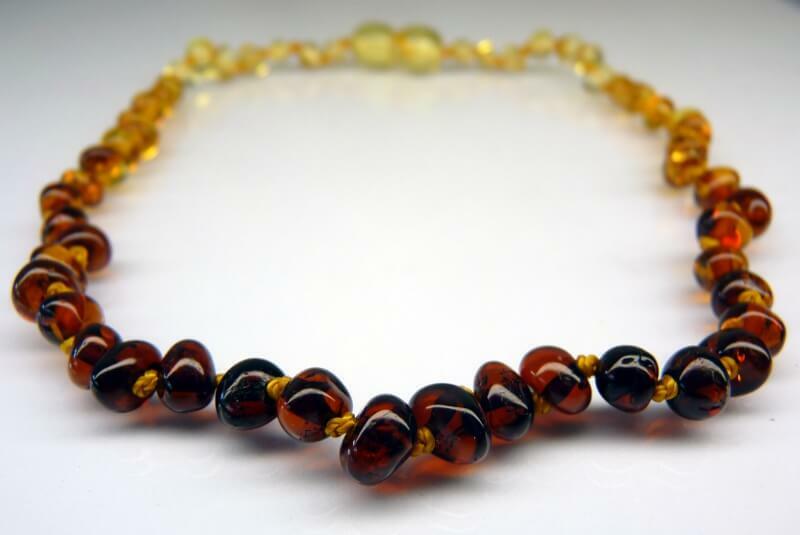 All of our Amber Necklaces include safety features like individually knotted beads, plastic screw clasps and are threaded on cotton threads. 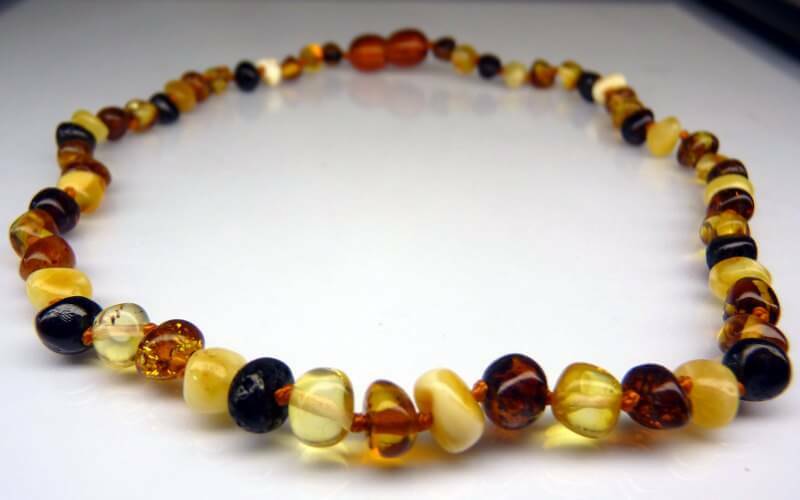 These adult necklaces have a highly polished finish and are 45cm in length, and they come in four great colours, Bicolour, Multicolour, Natural White and White Cognac (plus more styles to be added soon). 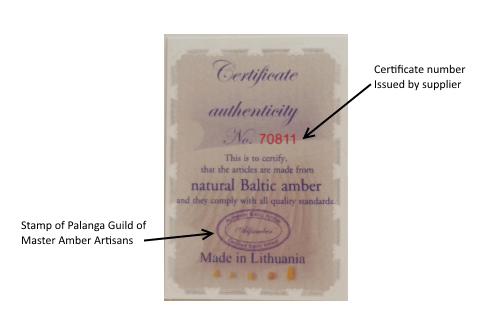 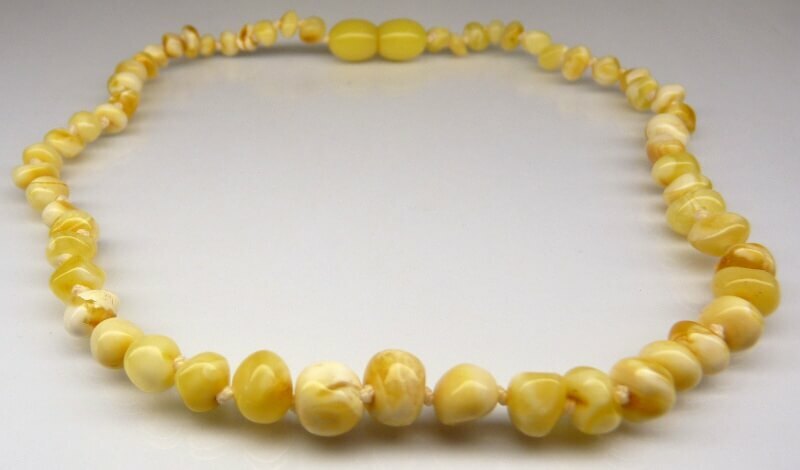 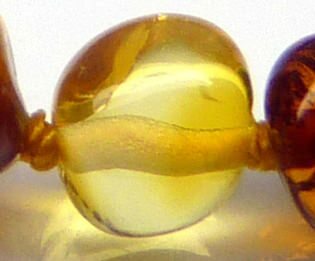 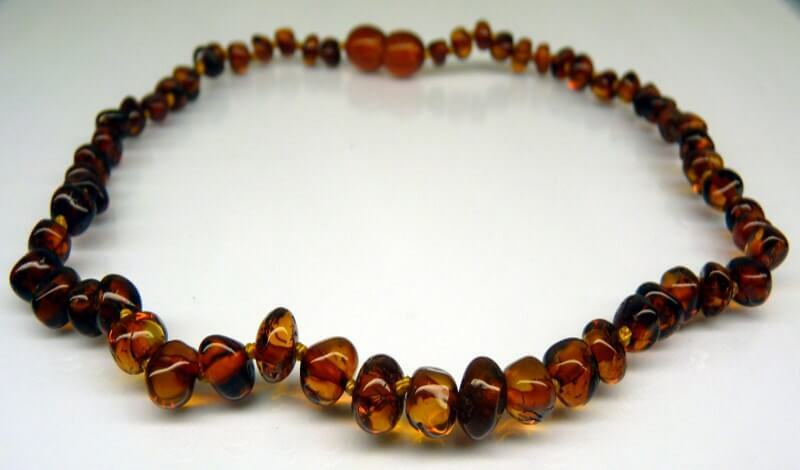 Thirdly, it is recommended that Amber Necklaces For Adults are threaded on cotton, not silk. 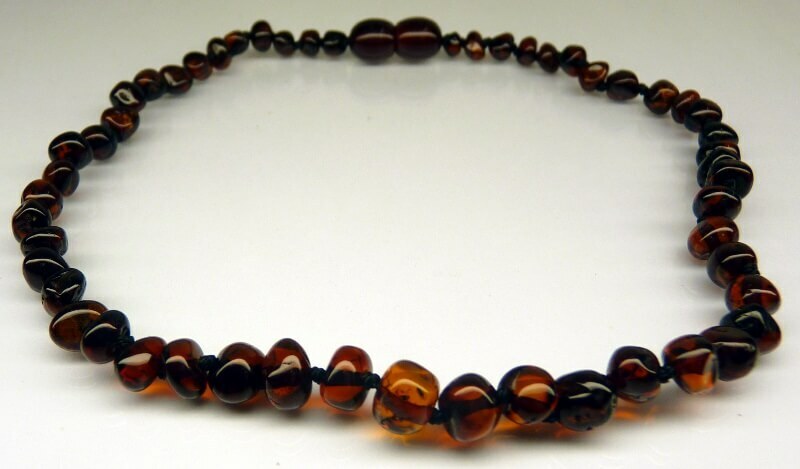 Silk has a much higher breaking strain than cotton and it is important that the necklace is not to strong so that if baby does get caught on something either the clasp lets go or the thread breaks. 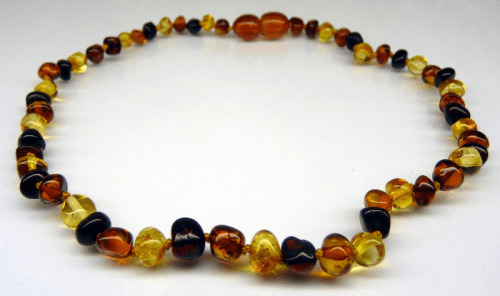 For babies, a 32cm necklace is the best size during teething. 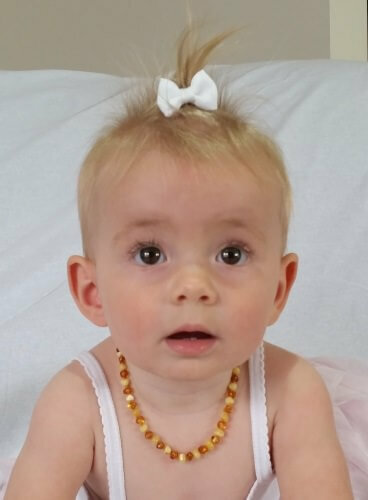 There is always the rare exception with a big baby. So we recommend you measure around your babies neck before ordering just to be sure. 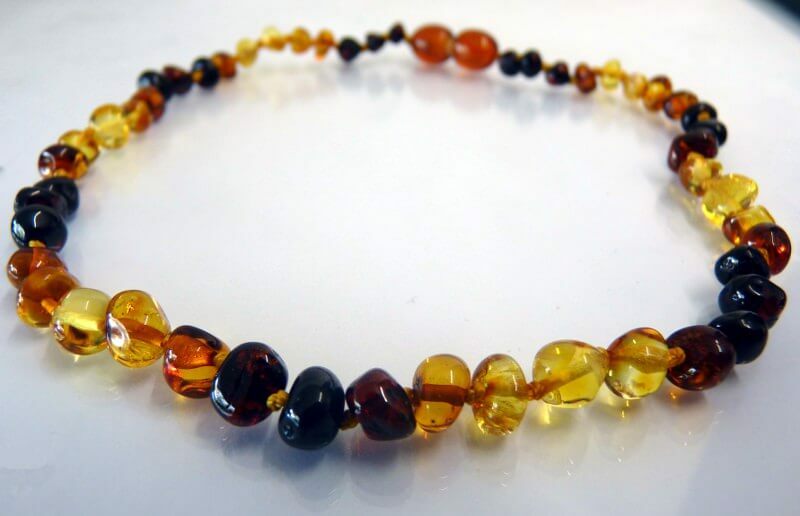 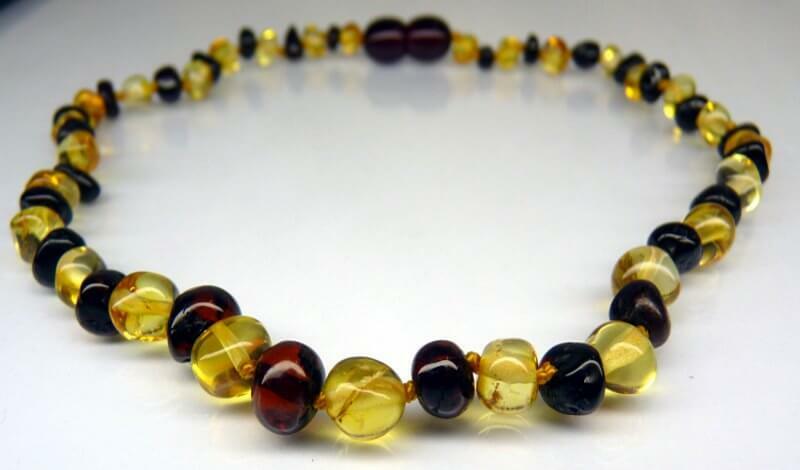 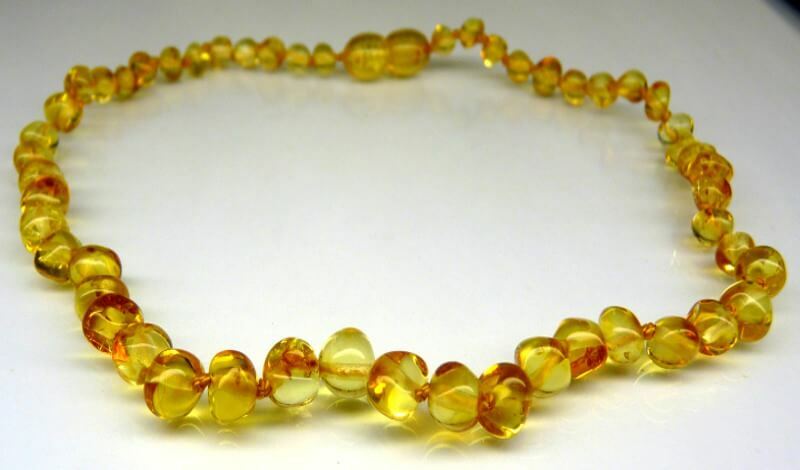 Amber teething necklaces, when done up, should sit comfortably in the nape of your babies neck. It should not be to tight, or too loose so that the baby could get the necklace in their mouth.